Bring home the British Royalty! Diana, Princess of Wales, receives the Funko treatment as a stylized Pop! Vinyl figure! 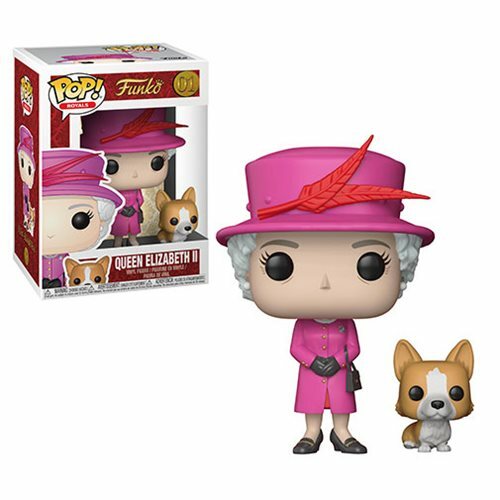 Packaged in a window display box, this Royals Queen Elizabeth II Pop! Vinyl Figure #01 measures approximately 3 3/4-inches tall and even includes a minature Corgi!